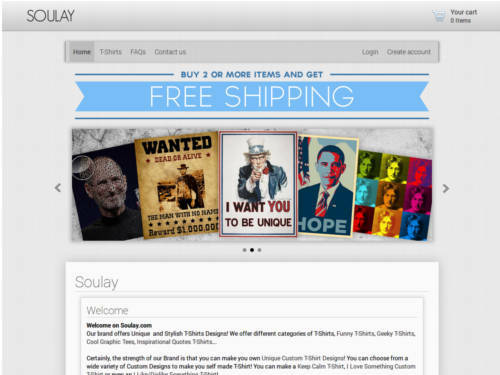 Soulay offers Unique Cool & Stylish T-Shirt Designs! You can even make you own custom T-Shirts like a “Keep Calm & Carry On” Custom T-Shirt! We are dedicated to deliver the best quality T-Shirt Designs at an affordable price. This is another really good looking, responsive shopify theme design. I like the polaroid style hover effect when you roll over the products.